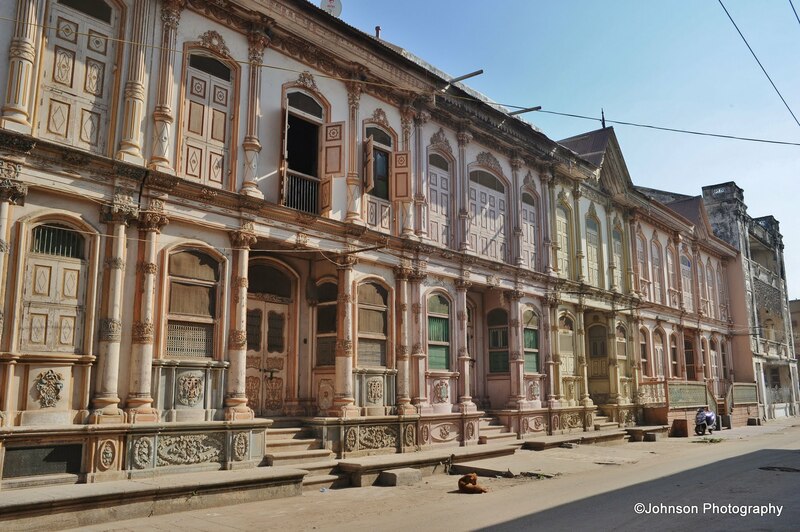 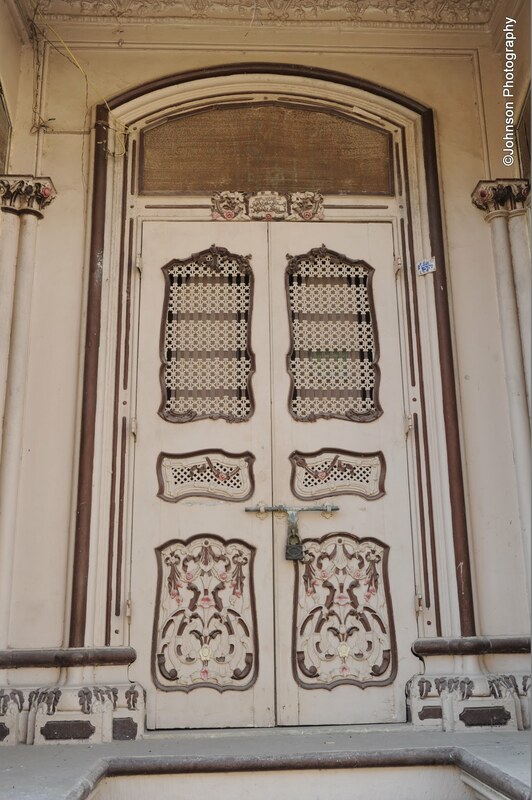 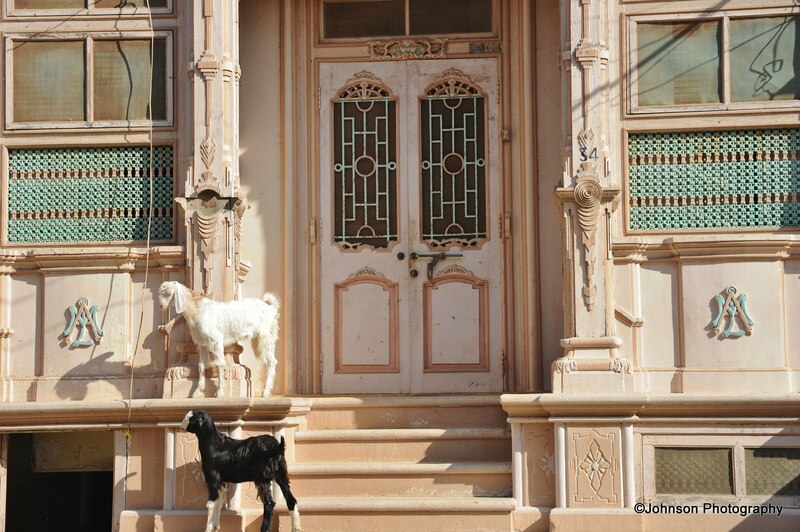 The Bohra settlements of Siddhpur display a distinctive architectural patois and global character born out of the confluence and influence of various architectural styles worldwide. 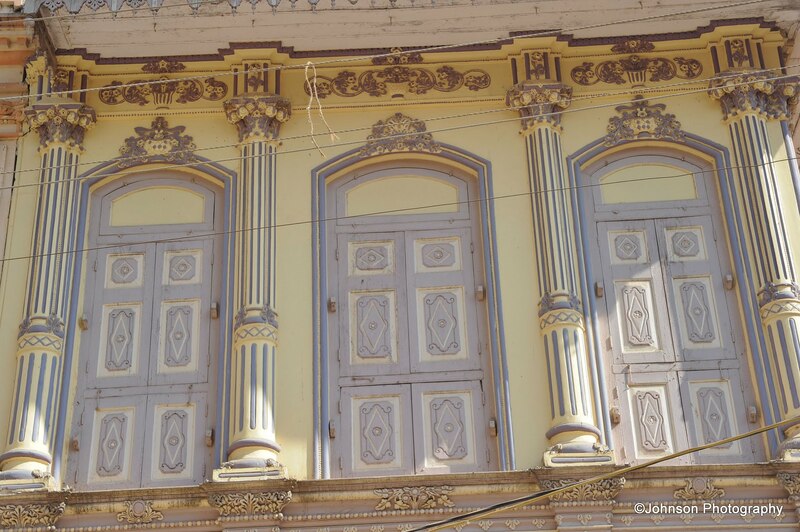 Founded by the Solanki ruler Siddhraj Jaisinh in the 10th century on the banks of river Saraswati, Siddhpur is essentially a holy place for Hindus. 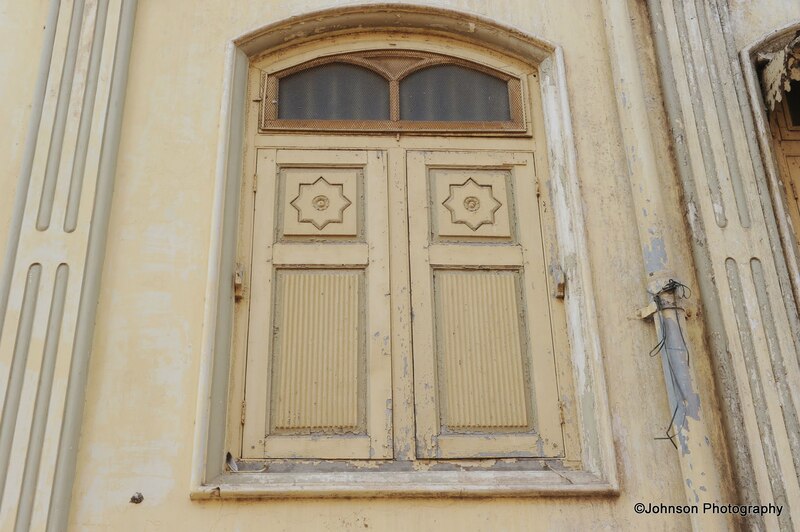 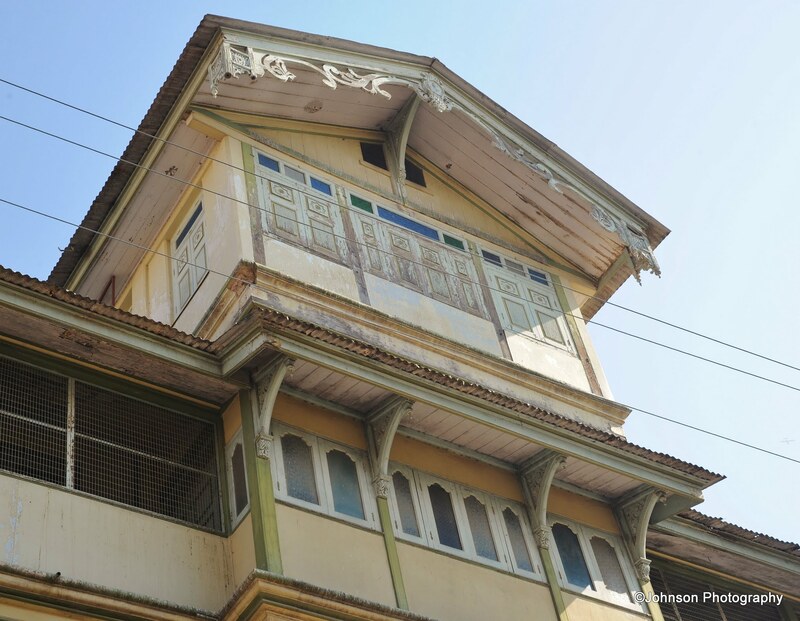 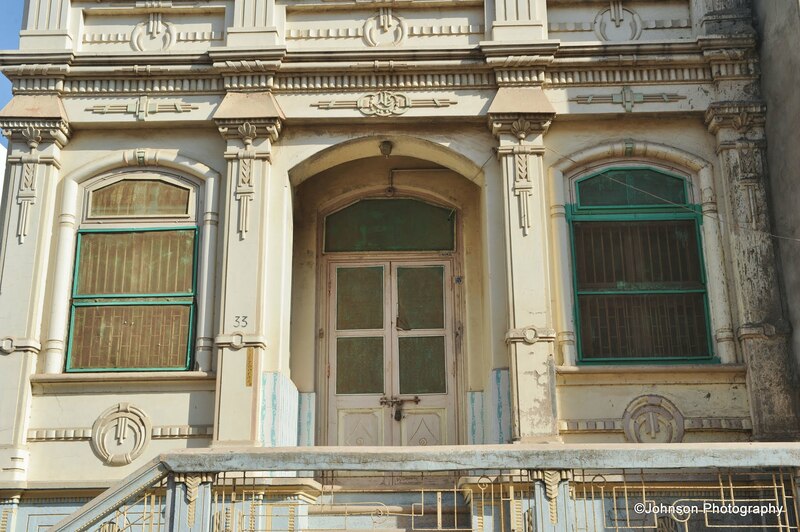 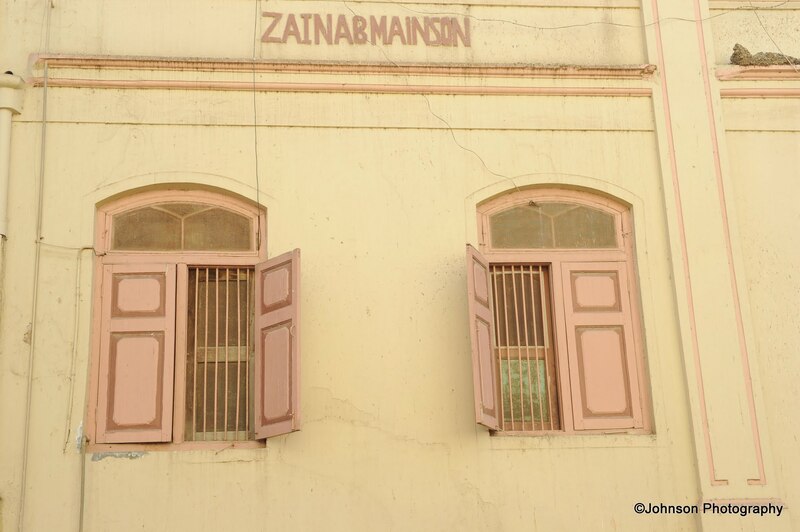 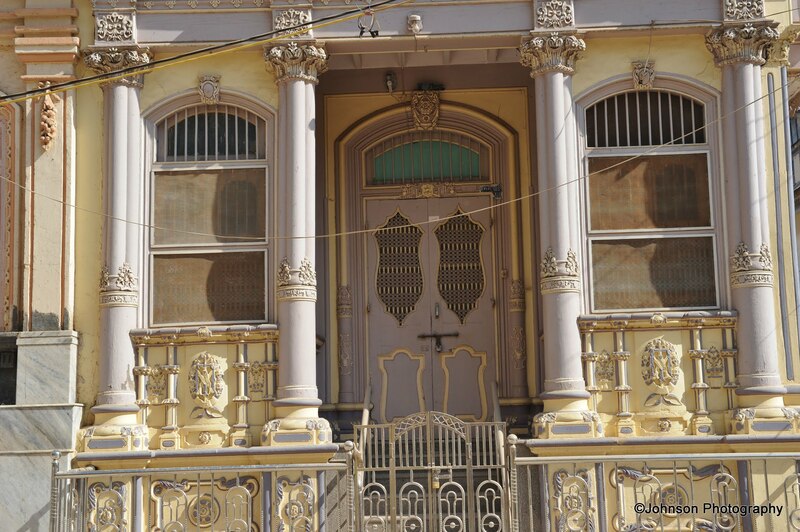 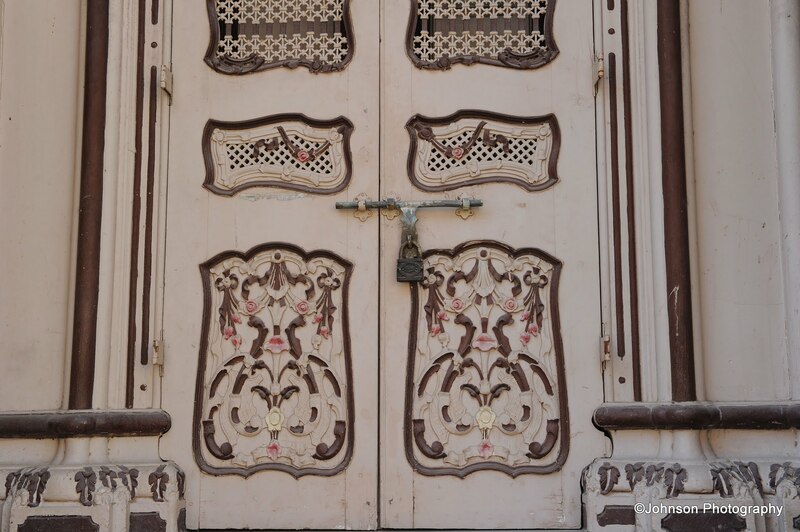 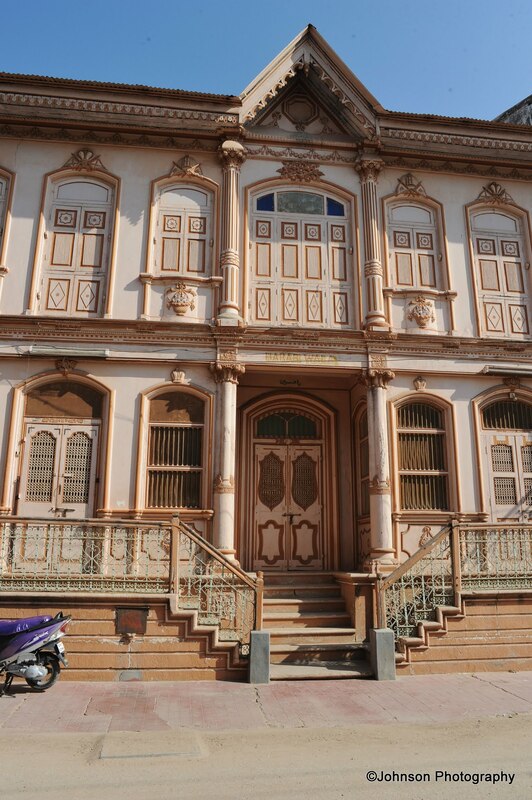 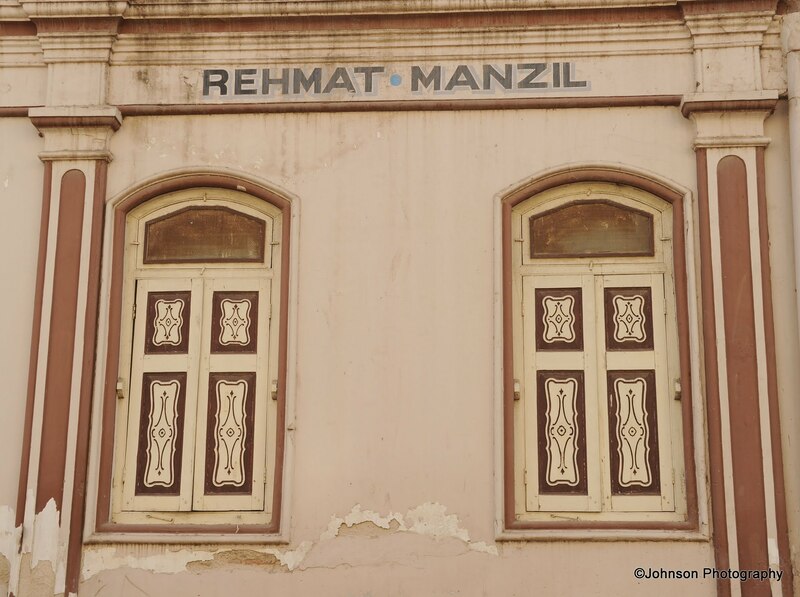 It was only in the 19th century that the Dawoodi Bohras, an affluent Muslim trading community, fanned out and settled in Siddhpur, Kapadvanj and around port Khambhat. 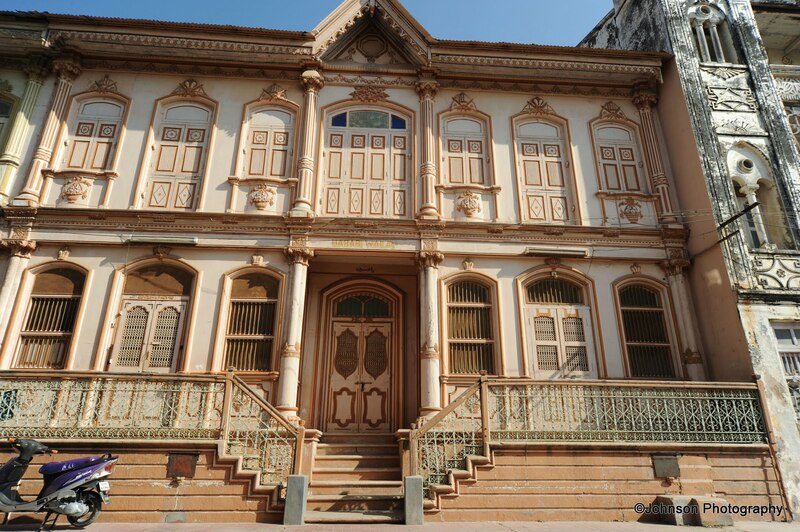 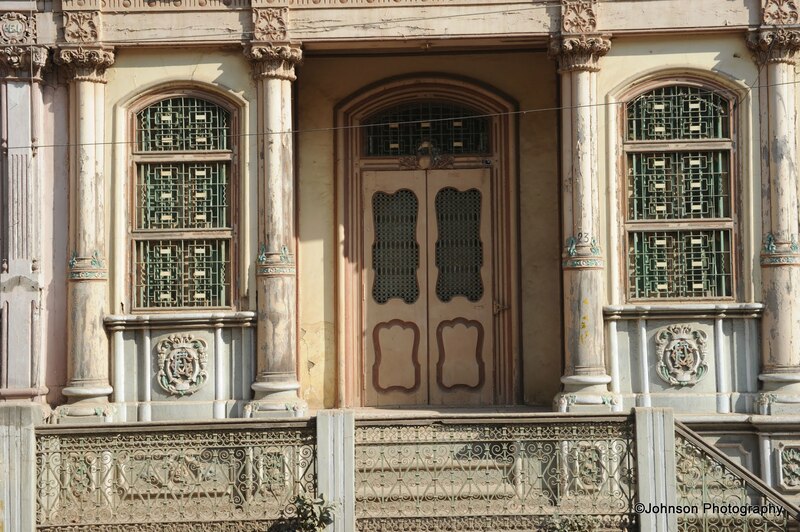 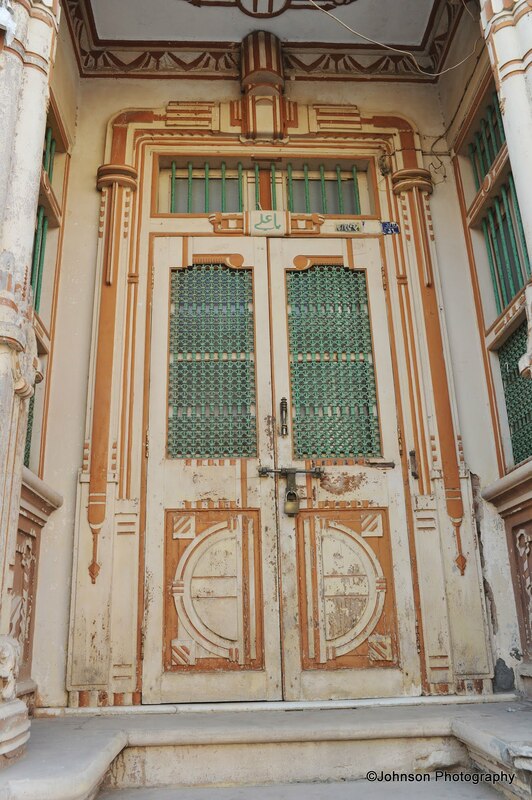 These Dawoodi Bohras carried out wealthy trade with European countries and greatly borrowed from the European architectural styles of the time while building their own houses. 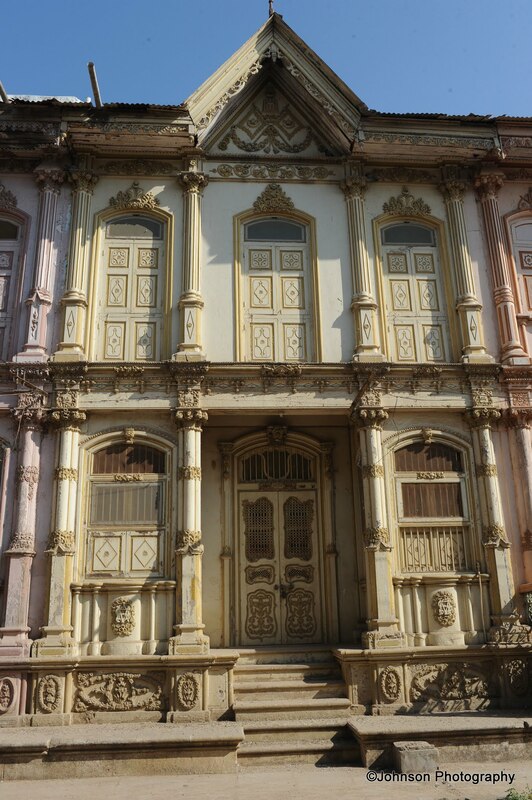 The eclectic facades of the houses are characterised by Victorian gable pediments, ornate pilasters and columns, Baroque-style cornices, friezes, arches and hoods richly carved in wood and plaster. 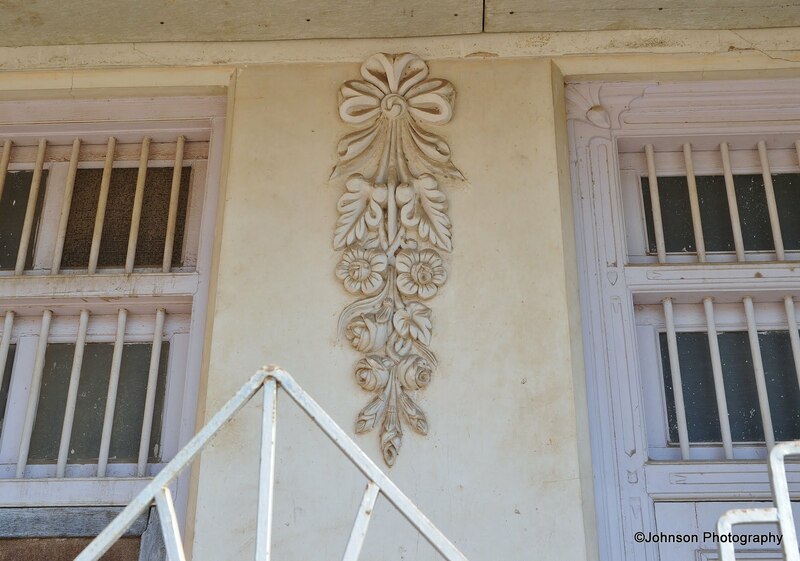 It is not uncommon to see Renaissance-inspired vines and arabesques on the facade. 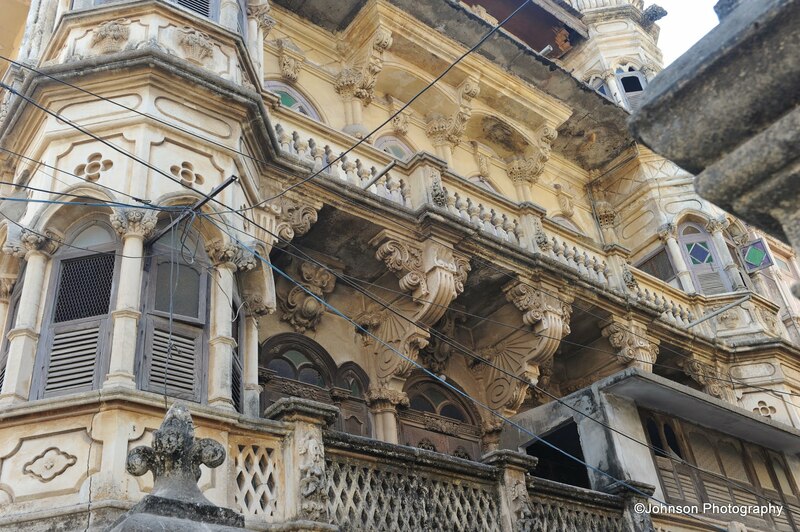 Intricate iron railings adorn the entrance to these houses which are raised above the ground by a 4-5 feet. 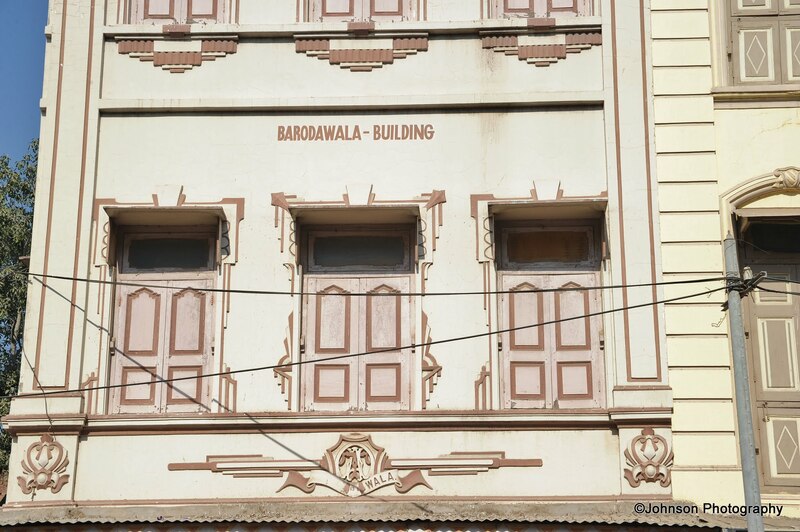 The symmetry and orderliness of the buildings is reminiscent of the Art Deco of Paris. 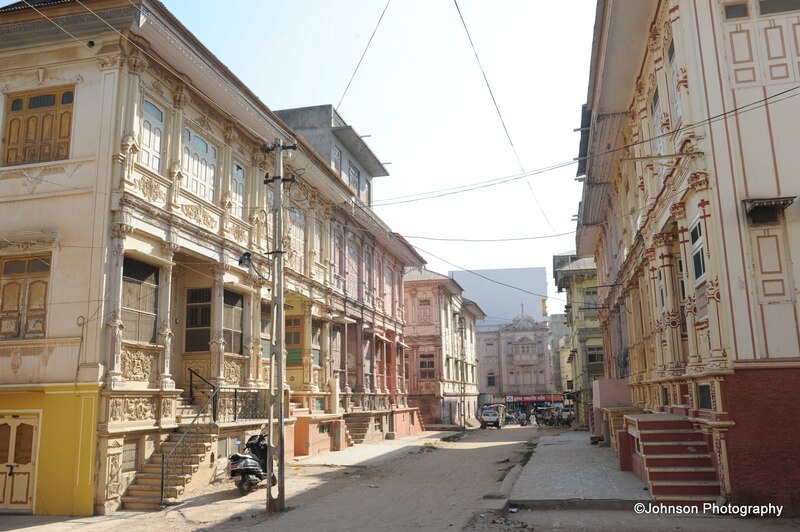 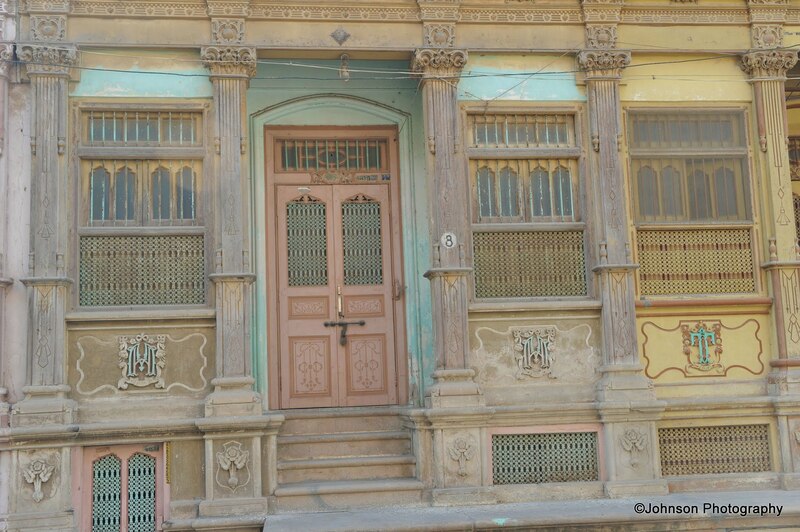 Each of the houses are painted in different shades of pastels lending even more vibrancy to the Vohrawads. 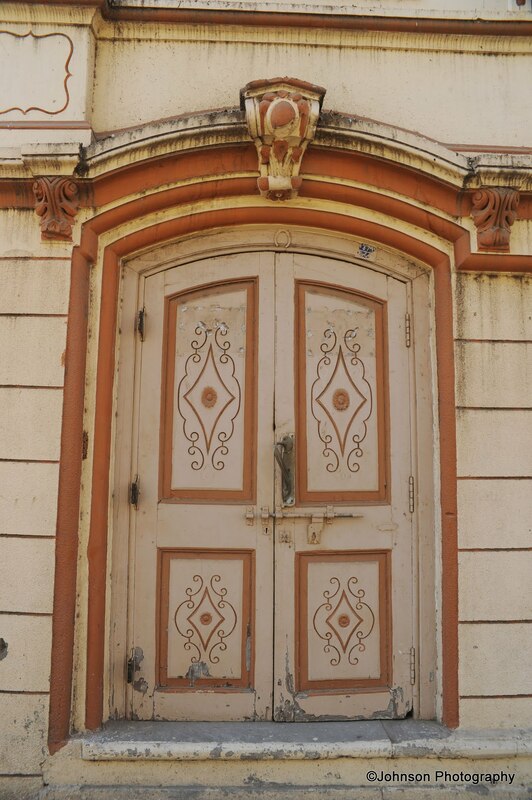 However, they are not completely European in construction. 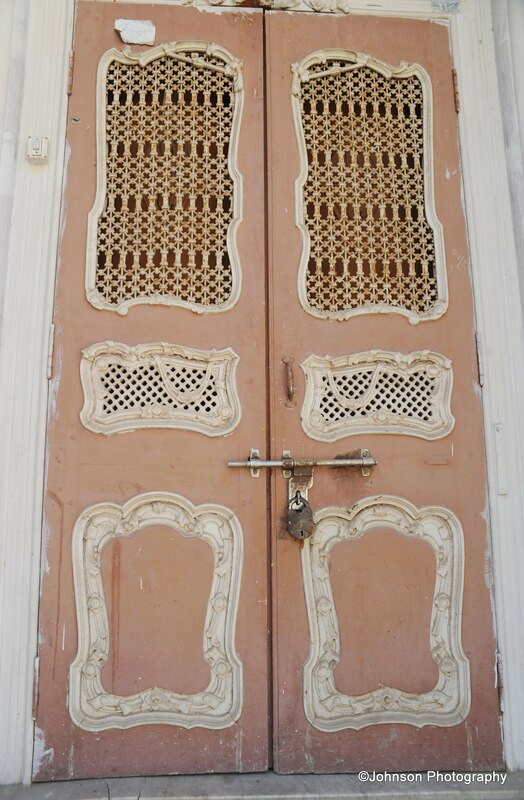 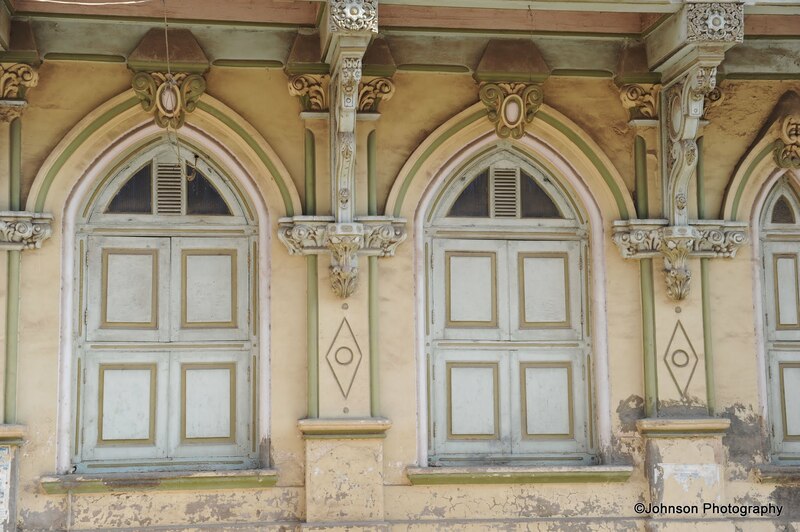 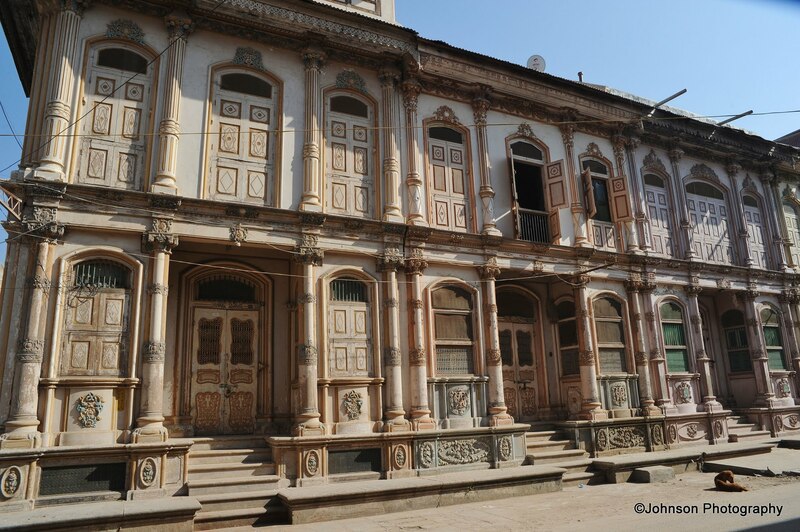 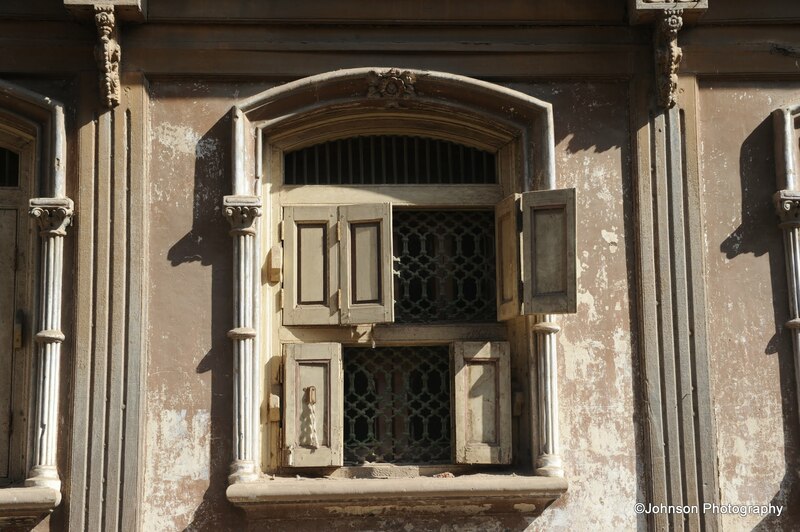 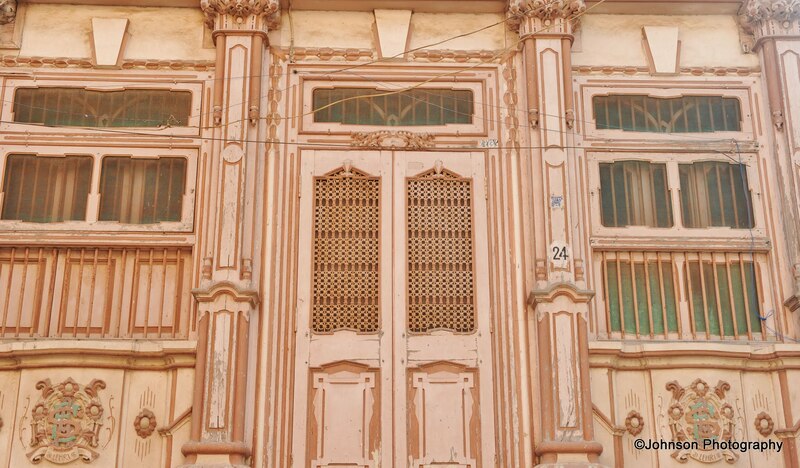 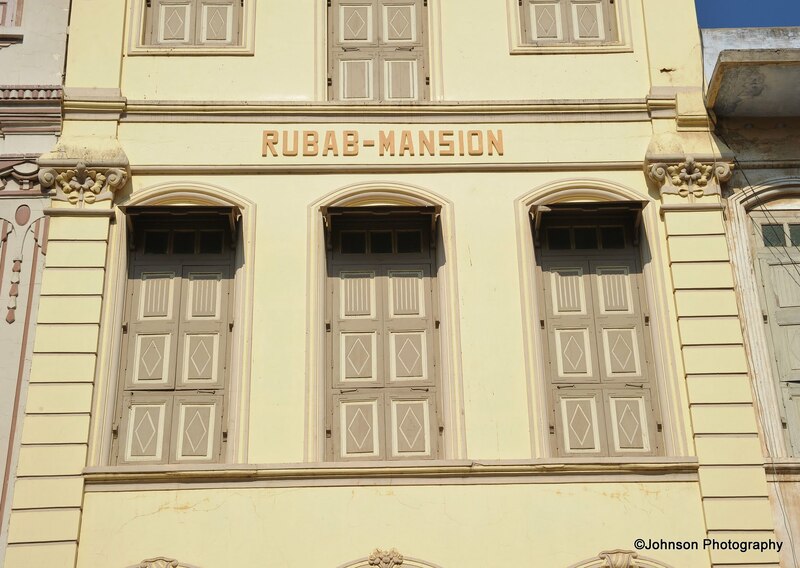 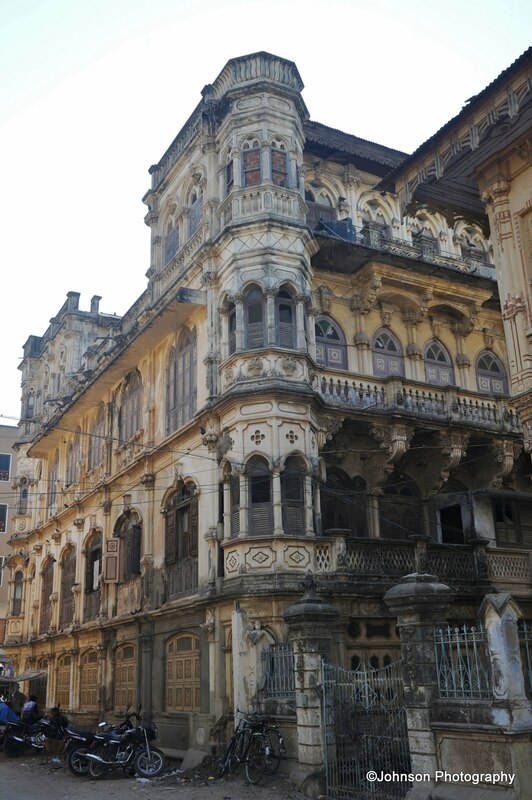 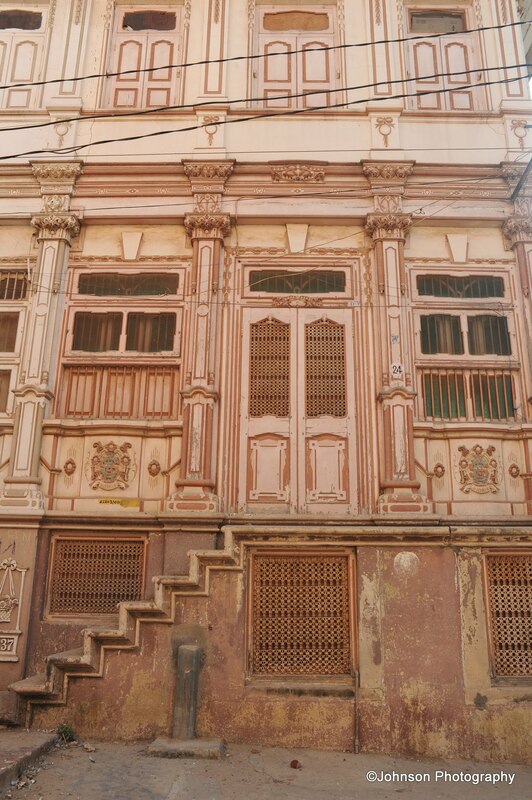 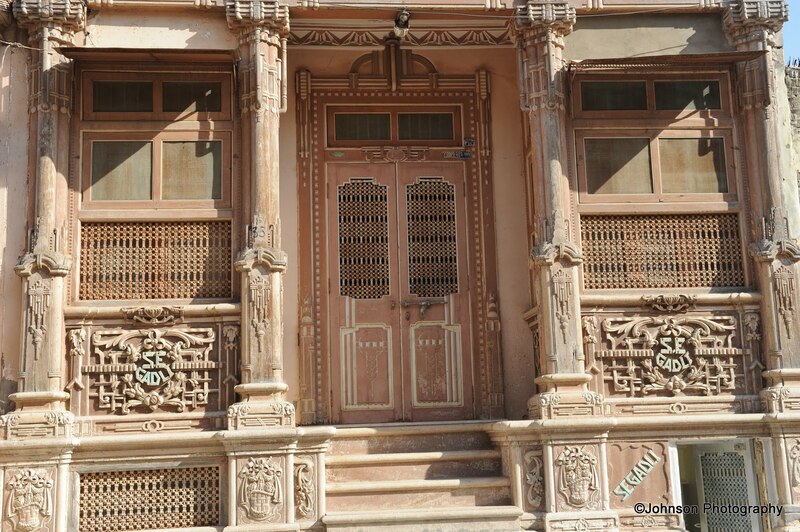 Some houses have protruding balconies or ‘jharokas’ of typical Rajasthani havelis. 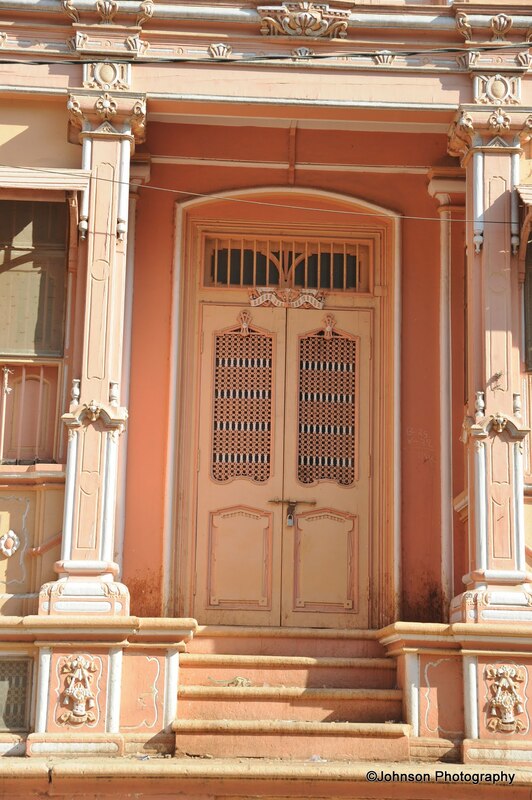 They also have an internal courtyard, about 4 square feet in size, like traditional Indian houses. 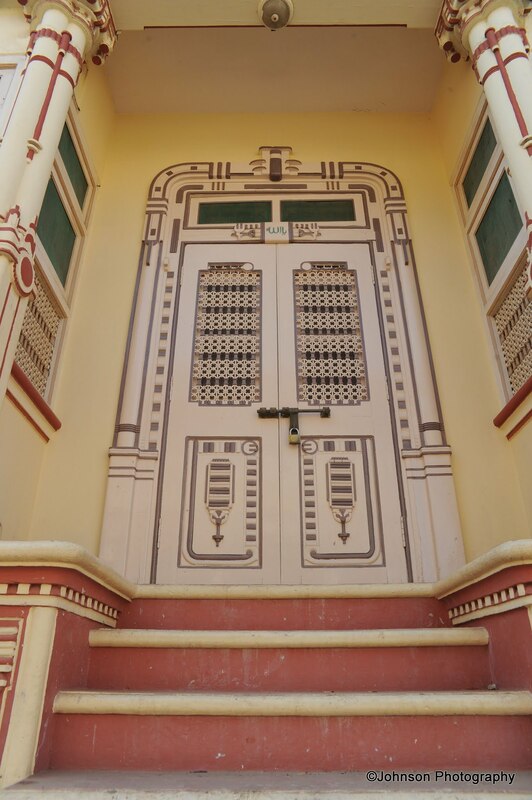 Almost all houses have the family insignia embedded on its walls. 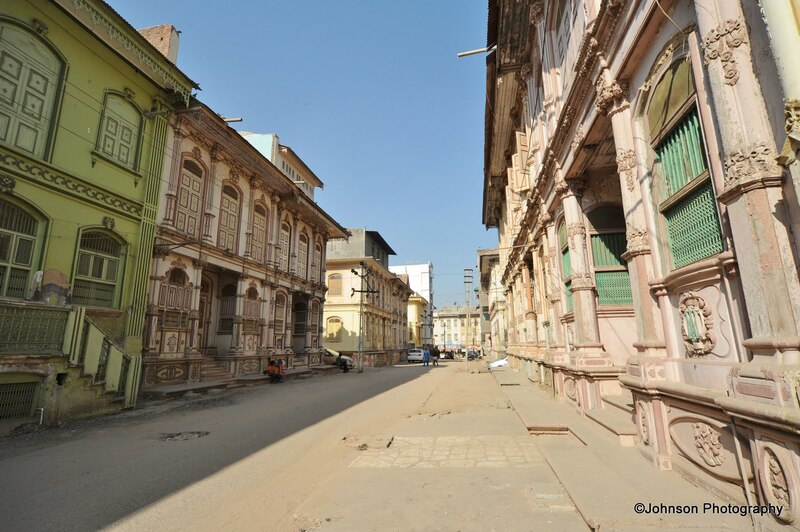 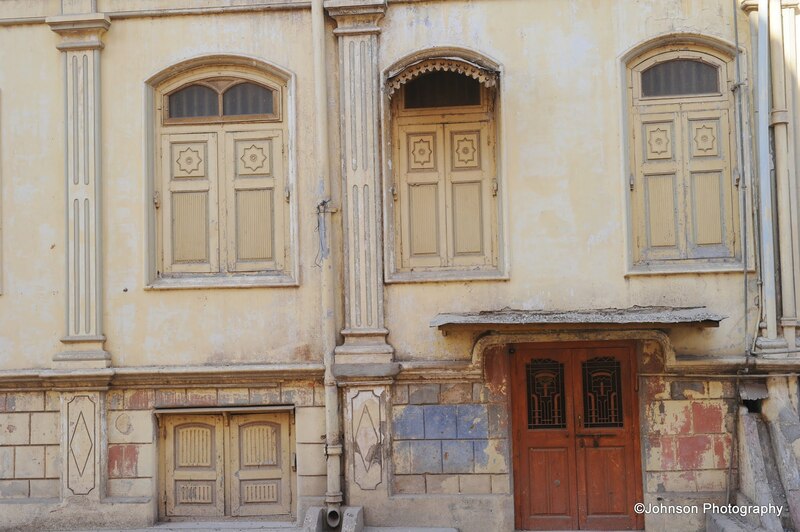 Most of these buildings are a 100 years old and are now dilapidated as the owners have left for better prospects. 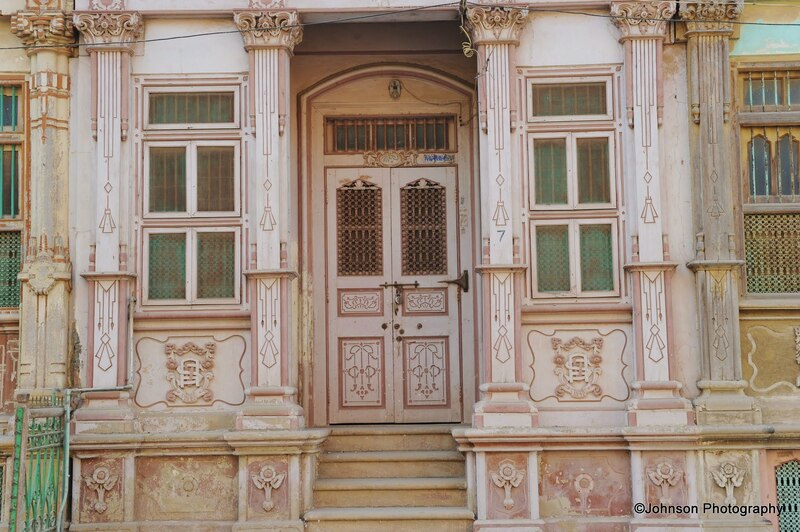 In this series, I am bringing to you the intricacies and eccentricities of the Vohrawads of Siddhpur.